For more than 30 years, the Shortwave radio spectrum has been used by the world's intelligence agencies to transmit secret messages. 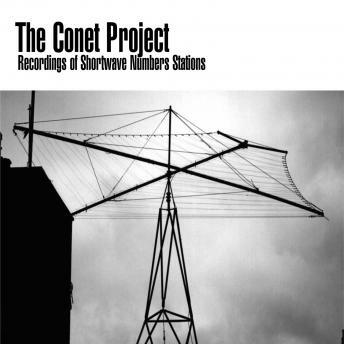 These messages are transmitted by hundreds of Numbers Stations.Shortwave Numbers Stations are a perfect method of anonymous, one way communication. Spies located anywhere in the world can be communicated to by their masters via small, locally available, and unmodified Shortwave receivers. The encryption system used by Numbers Stations, known as a one time pad is unbreakable. Combine this with the fact that it is almost impossible to track down the message recipients once they are inserted into the enemy country, it becomes clear just how powerful the Numbers Station system is. These stations use very rigid schedules, and transmit in many different languages, employing male and female voices repeating strings of numbers or phonetic letters day and night, all year round. The voices are of varying pitches and intonation; there is even a German station (The Swedish Rhapsody) that transmits a female child's voice! One might think that these espionage activities should have wound down considerably since the official end of the cold war, but nothing could be further from the truth. Numbers Stations (and by inference, spies) are as busy as ever, with many new and bizarre stations appearing since the fall of the Berlin wall. Why is it that in over 30 years, the phenomenon of Numbers Stations has gone almost totally unreported? What are the agencies behind the Numbers Stations, and why are the eastern European stations still on the air? Why does the Czech republic operate a Numbers Station 24 hours a day? How is it that Numbers Stations are allowed to interfere with essential radio services like air traffic control and shipping without having to answer to anybody? Why does the Swedish Rhapsody Numbers Station use a small girls voice? These are just some of the questions that remain unanswered.